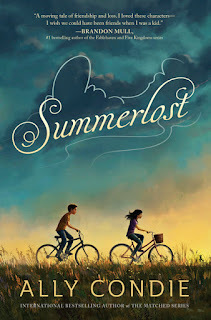 For MMGM, I am recommending Summerlost by Ally Condie. Summerlost revolves around Cedar, a 12-year-old girl whose life changed dramatically when her father and brother, Ben (who suffered from autism or a similar disorder), died in a car crash. Cedar, her other younger brother, Miles, and their mother move to a small town called Iron Creek for the summer, where Cedar meets a boy her age named Leo, who enjoys theater and works at the town's Summerlost festival, which puts on performances of Shakespeare's plays. As Cedar befriends Leo, she takes a job at the festival as well, where she sells programs to playgoers, learns about the actors and actresses who have participated in the festival (most notably the formerly-famous, now-deceased Lisette Chamberlain), and volunteers at the festival's costume department. One of Summerlost's best qualities is its characters. Author Ally Condie (best known for her young-adult Matched trilogy) has each character's personality and backstory down to a science, allowing you to connect with characters through their many memories (many of which are Cedar looking back on her father and Ben) or interests (ranging from healthy ones, such as Cedar and Leo's interest in Lisette Chamberlain's life, to unhealthy ones, such as the soap opera that Cedar and Miles are secretly obsessed with). Even the adults in the story, including family members, Gary (Cedar and Leo's supervisor at the festival), and Meg (somewhat-prickly-yet-kind costume designer at the festival), are fully fleshed out. 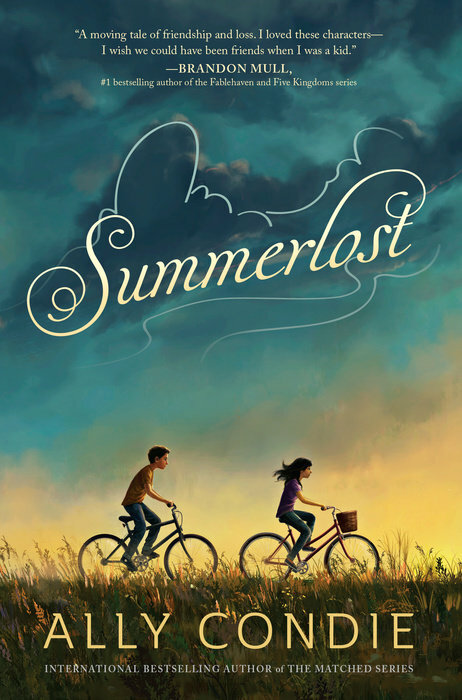 Summerlost is also beautifully written, with figurative language that would make both English teachers and regular people drool and voices for each character that are so distinct that the story probably would have made sense without dialogue tags. Summerlost is a novel that is at times heartbreaking and at times fun and silly, making for a striking combination that will resonate with any reader! 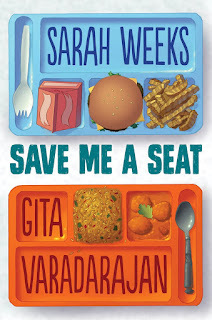 For MMGM, I am recommending Save Me a Seat by Sarah Weeks and Gita Varadarajan. I really enjoyed this book! One of the best parts about it was getting to see unique ways in which people struggle in life. Ravi deals with having to learn new behaviors (such as not standing up when called on), having his name mispronounced, and being judged for his accent, clothes, lunch, and more, while Joe's auditory processing disorder (causing him to be easily overstimulated and distracted by noise) and extreme rate of growth make him into an oddity compared with the rest of the class (and his mother working in the cafeteria doesn't help). Both students are bullied by the same stuck-up boy, Dillon, making their school lives even tougher. Over the course of the book, both boys learn to be kinder and less judgmental and realize that they could possibly become friends. The story never drones on, partially due to the characters' distinct voices (Ravi and Joe alternate between narrating) and partially due to the eventful plot, which, despite being only a week long, is filled with events in both boys' lives at school and at home. The story also realistically depicts the many opportunities for bullies to pounce on other kids, while also showing both feasible and less-feasible-but-hilarious ways for those kids to stand up for themselves. 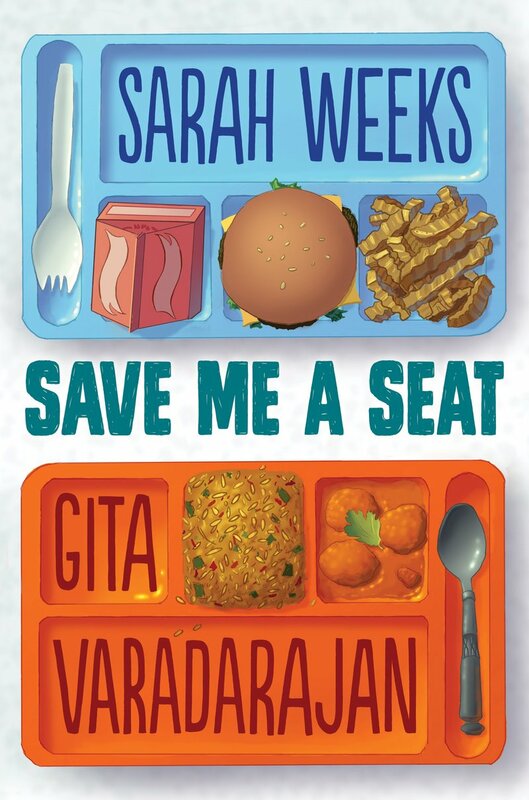 Save Me a Seat is a rich yet rapidly moving novel that people of any age will both learn from and enjoy! 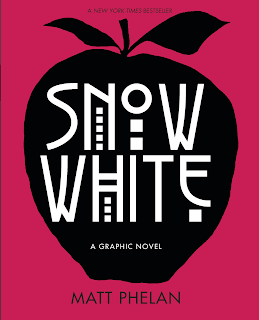 For MMGM, I am recommending Snow White: A Graphic Novel by Matt Phelan. The scene: New York City. The dazzling lights cast shadows that grow ever darker as the glitzy prosperity of the Roaring Twenties screeches to a halt. Enter a cast of familiar characters: a young girl, Samantha White, returning after being sent away by her cruel stepmother, the Queen of the Follies, years earlier; her father, the King of Wall Street, who survives the stock market crash only to suffer a strange and sudden death; seven street urchins, brave protectors for a girl as pure as snow; and a mysterious stock ticker that holds the stepmother in its thrall, churning out ticker tape imprinted with the wicked words “Another . . . More Beautiful . . . KILL.” In a moody, cinematic new telling of a beloved fairy tale, extraordinary graphic novelist Matt Phelan captures the essence of classic film noir on the page—and draws a striking distinction between good and evil. Many, many months ago, I read about this book on a fellow MMGMer's blog. I've unfortunately forgotten where I read it, and former MMGM showrunner Shannon Messenger has taken down her old blog with past MMGM posts and replaced it with a new website (which you can visit here!). However, I would like to thank whoever recommended this book, because I adored it! The art of the novel is absolutely gorgeous, usually drawn in blacks and grays with some red added in (such as for the apple). Despite lacking many words (the only text is character dialogue), the story is still rich and thrilling. I read the whole book in two sittings (a total of about 45 minutes), desperate to find out about what the stepmother would do and about the fates of both Snow White and the "Seven" (the dwarves, reimagined as a group of homeless, orphaned children of varying personalities). Each character does just enough in the story to make them seem deep and realistic, and watching them travel throughout the wonderful setting (New York City during the Great Depression) was a treat! 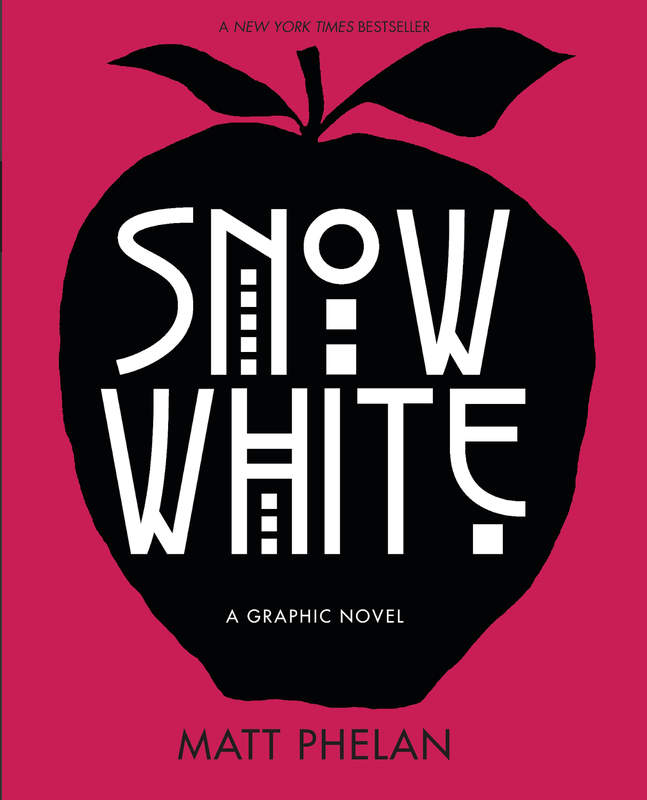 Snow White: A Graphic Novel is an excellent reimagining of the fairy tale that adds substance, beauty, and suspense, making a fabulous novel that you won't want to miss! 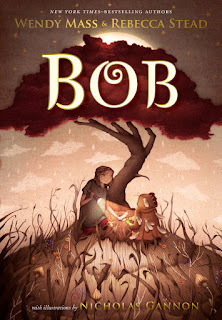 For MMGM, I am recommending Bob by Wendy Mass and Rebecca Stead, with illustrations by Nicholas Gannon. If you've read my past posts, you might know that I love both Wendy Mass (see here, here, and here) and Rebecca Stead (see here, here, and here). Therefore, when I first read this article first announcing Bob, I was extremely excited, and the book did not disappoint! One of the best parts of this novel is how Livy and Bob are written. Like characters in the authors' other books, they seem extremely real and have extremely distinct voices; Livy, age 11, can be loving and silly or logical and a bit cynical, while Bob remains immature but kind. The relationship between both characters is strained at times (especially when Livy first returns), but watching them get to know and like each other again is very enjoyable. The book often deals with issues relating to families; Bob has no family that he knows of, while Livy is dealing with both a new baby sister and the fact that, during the trip, she will be staying alone with her grandmother for several days. Getting to see the Australian small town that Livy's grandmother lives in and how it has been affected by a drought is also interesting, as is watching Livy and Bob have fun talking, playing chess, or exploring and trying to figure out who exactly Bob is. Bob's combination of magic, mystery, life in a small town, and the innocent relationship between two friends makes it a touching, enjoyable read that you won't want to put down! P.S. I don't often mention the design of a book, but Bob's design is so beautiful that I have to! The illustrations by Nicholas Gannon, drawn in brown to match the cover and other accents, are lifelike and help make the story vivid or even provide closure (in the two drawings that end the book, take a close look at what Livy is wearing). The book has a pretty font, which vaguely reminds me of a typewriter, as well as lovely accents (branches surround each page number, while feathers from Bob's chicken suit are scattered throughout the story). The shiny stars and raindrops embedded on the dust jacket are the final proof that Bob is one of the most elegantly designed books I've ever read!